TORONTO, Dec. 6, 2013—Parental stress is linked to weight gain in children, according to a new study from St. Michael's Hospital. The study found that children whose parents have high levels of stress have a Body Mass Index, or BMI, about 2 percent higher than those whose parents have low levels of stress. Children with higher parental stress also gained weight at a 7 percent higher rate during the study period than other children. Those figures may sound low, said lead author Dr. Ketan Shankardass, but they're significant because they are happening in children, whose bodies and eating and exercise habits are still developing. Plus, if that weight gain continues and is compounded over a lifetime, it could lead to serious obesity and health issues. Shankardass, a social epidemiologist with the hospital's Centre for Research on Inner City Health, studied data collected during the Children's Health Study, one of the largest and most comprehensive investigations into the long-term effects of air pollution on the respiratory health of children. The childrens' BMI was calculated each year. Their parents were given a questionnaire to measure their perceived psychological stress that asked how often in the last month they were able or unable to control important things in their life and whether things were going their way or their difficulties were piling up so high they could not overcome them. 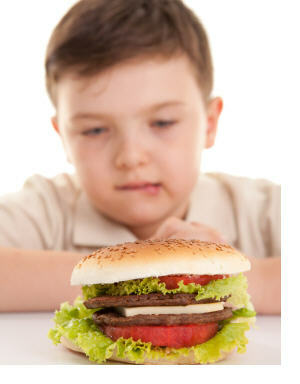 Shankardass said he believes this is the first study to link parental stress to weight gain in such young children. His research was published today in the journal Pediatric Obesity. Shankardass, who is also an assistant professor in psychology at Wilfrid Laurier University, said it was not clear why the link between stress and obesity exists. Rather than focusing only on getting parents to change their behavior, said Shankardass, it would be useful to focus on interventions that can support families living in challenging conditions, such as making sure they have a reliable supply of healthy food, an opportunity to live in a nice neighbourhood and other financial or service resources to help cope with stress. "Childhood is a time when we develop inter-connected habits related to how we deal with stress, how we eat and how active we are," Shankardass said. "It's a time when we might be doing irreversible damage or damage that is very hard to change later." Shankardass noted that more than half the students followed in the California study were Hispanic, and that the effects of stress on their BMI was greater than children of other ethnic backgrounds. He said this was consistent with other research which has suggested that Hispanic children may be more likely to experience hypherphasia (excessive hunger or increased appetite) and sedentary lifestyle. Future research should consider other reasons that Hispanic children are more susceptible to parental stress, including differences in how Hispanic parents respond to stress or how Hispanic children perceive stressors or cope with stress. “Parental stress increases body mass index trajectory in pre-adolescents,” K. Shankardass, R. McConnell, M. Jerrett, C. Lam, J. Wolch, J. Milam, F. Gilliland and K. Berhane. Pediatric Obesity. Published online : 5 DEC 2013, DOI: 10.1111/j.2047-6310.2013.00208.x. Press materials provided by St. Michael's Hospital.